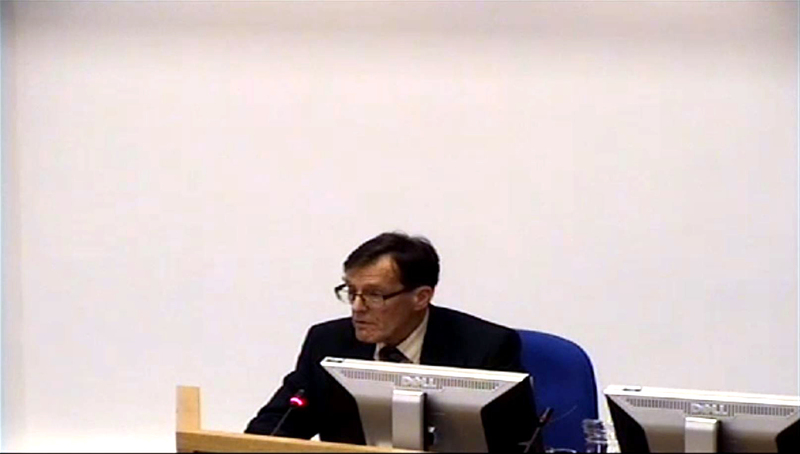 LEADING housing campaigner Alan Pivett spoke about Pagham residents’ dismay at the approval of more homes for the area. Mr Pivett, chairman of Pagham and Aldwick Greenfields Movement, had earlier told councillors the extra vehicles on Pagham Road after the homes were built would add to already serious air pollution problems at pinch points such as the Royal Oak B2166/Pagham Road junction and North Mundham School shown by tests carried out by Pagam. Some 150 people attended the special meeting. A series of other speakers also spoke against the housing. Cllr Lilian Richardson, Aldwick Parish Council’s chairman, said she feared for conditions on its roads after the housing was built. “Traffic management is unlikely to provide much relief from increasing traffic flows in Aldwick. Merely changing the phasing of traffic lights and widening a junction is likely to do little to improve the situation,” she said. Pagham parish councillor Caroline Spencer said : “…it is clear from Southern Water’s initial comments that they cannot deal with any foul water from this site and that there is a real problem. Michael Hampton, an Aldwick resident, queried the transport data used by the developer to justify adding more vehicles to roads in the area. A consultant was used by Arun to assess the information and spoke at the meeting. The approval follows a decision last month to back 400 homes south of Summer Lane.